1984: Days of our Lives' Alex didn't believe Stefano was dead. 1985: Santa Barbara's Eden left a trail of notes for Cruz. 1997: As the World Turns' David met James Stenbeck. 2001: Tamara Braun debuted as Carly on General Hospital. 1949: A Woman to Remember debuted in the 7:30-7:45 p.m. timeslot on the DuMont Television Network. The show was an early attempt to bring soap opera to early evening television. 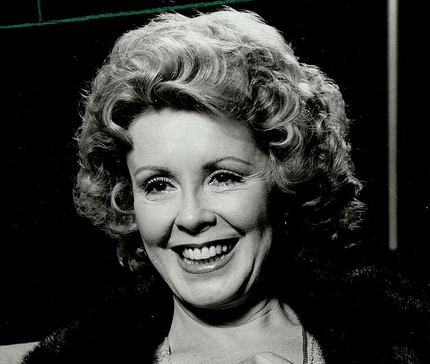 The leading character, Christine Baker (Patricia Wheel), was depicted as a radio soap opera queen, engaged to handsome Steve Hammond, but beset by scheming rivals, notably shrewish Carol Winstead. 1967: On Dark Shadows, Maggie (Kathryn Leigh Scott) behaved oddly as if she were in a trance. She told Joe (Joel Crothers) that she felt as if someone were looking right through her as Barnabas (Jonathan Frid) appeared with his eyes glowing in the light of a candle. 1982: Longtime Another World star Hugh Marlowe (Jim Matthews) died of a heart attack at age 71. Six weeks later, AW had the character of Jim die suddenly with a heart attack in Helsinki, Finland while on an extended vacation in Europe. Marlowe took on the role of Jim in 1969. 1984: On Days of our Lives, Alex (Quinn K. Redeker) investigated Stefano's (Joseph Mascolo) death. Meanwhile, Roman (Wayne Northrop) asked Stefano if he could write a farewell note to his daughter. 1985: On Santa Barbara, Eden (Mary Walker) left notes for Cruz (A Martinez) all over town leading him on a romantic adventure. 1997: Daniel Markel took over the role of David Allen on As the World Turns. In the episode, David was being watched by James Stenbeck (Anthony Herrera), who he met for the first time. 2001: Tamara Braun debuted on General Hospital as the second Carly Corinthos, replacing Sarah Brown. 2002: Australian Broadcasting Corporation aired the final episode of soap opera Something in the Air. The show ran for two years with 320 episodes. 2006: CBS aired a special, Dynasty: Catfights & Caviar, which reunited the cast including stars John Forsythe, Joan Collins and Linda Evans. 2007: Zach Roerig last aired as Casey Hughes on As the World Turns. 2007: Ashley Benson aired for the last time as Abigail Deveraux on Days of our Lives. 2008: Daytime legend Beverlee McKinsey died at age 72. Her soap roles included Iris (and Emma) on Another World, Iris in Texas, Alexandra on Guiding Light Myrna in General Hospital, and Martha on Love is a Many Splendored Thing. McKinsey was nominated for a Daytime Emmy Award four consecutive years from 1977-1980 but never won. 2012: On General Hospital, Carly and "Connie: fought in the Metro Court Lobby.